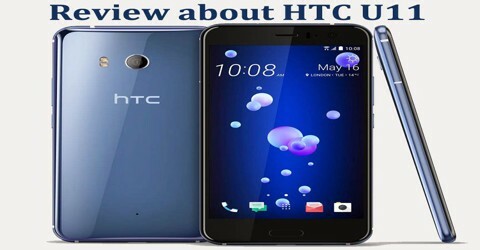 This year’s (2017) HTC U11 is a much more dramatic departure from past flagships like the HTC 10, switching brushed aluminum for an eye-catching liquid-glass finish wrapped around a powerful, squeezable smartphone that offers tempting features. It’s got a hugely impressive spec list, unique design, innovation in the form of squeezable sides and a great camera. The latest processor buzzes along rapidly inside a phone that’s neither too big nor overly compact, and the interface is as slick as anything HTC has ever made. It’s launching into a world where Samsung and LG have come up with beautiful screen designs, and Sony has wheeled out the big guns to bring a 4K screen and superb slow motion video to the Xperia XZ Premium. The design of the HTC U11 is something that takes a little getting used to – but it’s worth taking the time to do so. Holding it in the hand for the first time is a little underwhelming, as the polished Gorilla Glass is so light that it feels a little plasticky in the hand. The U11 has a 5.5-inch display, but the front has a spacious edge above and below. 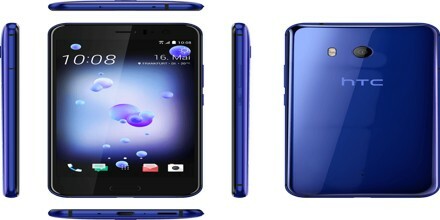 The HTC U11 has a Super LCD 5 screen with a resolution of 2560 x 1440 pixels, which offers a sharp 590 pixels-per-inch. It’s comfortable to read on for long periods, and games and movies look good. The brightness is limited, however, which can be a problem in direct sunlight. Below the screen there’s a recessed, glass fingerprint sensor. The fingerprint sensor is flanked by capacitive touch buttons for back and recent apps. 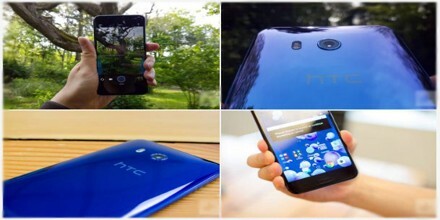 A glass back is a relatively new design direction for HTC – the company started using it this year with the unfortunate U Ultra – but people wouldn’t know that from the way it has been implemented. The edges of the front glass over the screen similarly curve down into the frame in an almost seamless manner, though the screen itself is not curved, it is flat. The downside to this design is that glass is not nearly as hardy as metal, and can be easily scratched or cracked. The U11 doesn’t have a headphone jack. 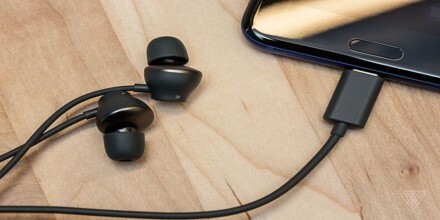 The U11 does come with a set of earphones that use the USB Type-C port and they sound surprisingly good for buds that come bundled with a phone. The U11’s headphones are enjoyable to use on a noisy commute. Frustratingly, though, these headphones won’t work with any other device user might own, such as their laptop or tablet. The phone’s own speakers, there are two, one at the bottom edge, the other in the earpiece are loud and clear and can be tuned for video or music depending on what user are playing. HTC also includes a 3.5 mm to USB Type-C adapter in the box. Using the adapter will give user a much better audio experience, as it actually sport a built-in DAC. 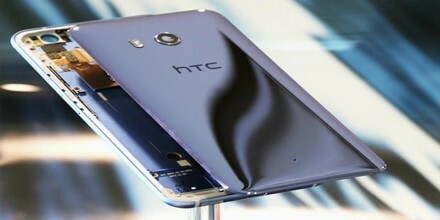 The HTC U11 is one of the first smartphones to run using Qualcomm’s latest Snapdragon 835 CPU. With a clock speed of 2.45GHz – and paired with 4GB of RAM. Touch response and scrolling is excellent and it runs apps and high-end games with no issues at all. The U11 in the United States comes with 64 GB of on-board storage, which people can expand up to an additional 256 GB via microSD. There’s also a global variant of the device that comes with 6 GB of RAM and 128 GB of storage. That’s great news for folks outside the U.S., though we wish the higher-end model was available for everyone. The battery life on the HTC U11 comes from a 3000mAh power pack, and it’s actually much better than we were expecting. The phone never struggled to make it through a full day of use even with heavy usage, and user never had to reach for the charger in the middle of the day. The camera on the HTC U11 is a 12MP affair, with only a single lens to speak of – there’s no double sensor here, as we’re starting to expect on flagship phones. The main feature its sporting is the HDR Auto mode, which combines the best parts of three snaps into one every time user chop the shutter. There are a range of mode options with the camera as well, with professional mode giving a wide range of options to tune up users snaps, and the ability to capture in raw if they like getting all the data from the sensor to manipulate. Photos taken in low-light conditions are incredibly sharp and well detailed, too. Noise levels are kept under control, and the noise you do see is very fine and compact. Low light photos aren’t splotchy at all, which is something we don’t see too often in smartphone cameras. The front-facing camera no longer comes with OIS like the HTC 10 did, but you are getting a much higher resolution 16 MP unit for capturing better and sharper looking selfies. Both the rear and front cameras are also leveraging a new feature dubbed HDR Boost, which auto-processes as HDR to give you the clearest and most well-balanced photo possible, similar to what Google has done with the Pixel. HTC’s new U11, available for the month of June (2017) for $649 unlocked from HTC or $696 from Sprint, the only US carrier offering it, certainly has its own unique trick, though it’s not a particularly good one. 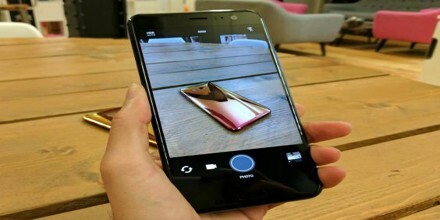 Reference: trustedreviews.com, techradar.com, theverge.com, digitaltrends.com.